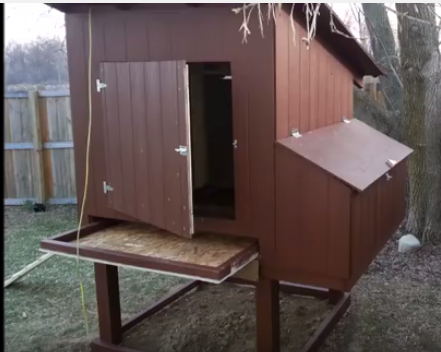 By Pasha SariLast year I decided to build a chicken coop with my wife. Her and I used to be obese and we decided to evaluate the foods we were eating. We decided that part of us getting even healthier was growing more of our own food and eating organic to avoid the chemicals that build up in our bodies. As part of this we wanted to raise chickens for the healthy eggs. After a little bit more trouble than we had asked for we finally did build a chicken coop. I wish that someone would have told me a long ago what mistakes to avoid. ERROR #1: Not Planning Before You Build. 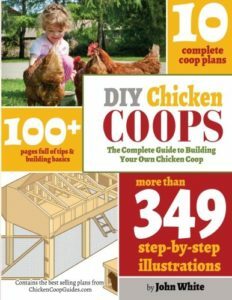 When you are ready to build a chicken coop you must plan every aspect of the coop before you even pick up a hammer.To build a chicken coop draw out a plan. Collect all of the materials. Select materials that will be easy to attain, easy to work with and easy to clean up. Plan the functionality of your coop. The doors need to open inwards, not outwards. If you build it the other way with the door opening outwards you chickens will begin roosting on your windows. 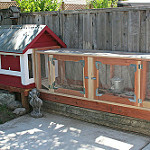 Your chickens will spend a lot of time in the coop so they need fresh air, designing a coop with sliding windows is a great way to keep them cool in the summer and warm in the summer. When you build a chicken coop you must consider how will you keep the floors clean in your coop. First you will need to cover them with a good material for the chickens to dig and scratch as they naturally do. Hay is, unfortunately, not ideal for this. Second, you should build the coop with the floors slightly sloping towards the door. This way you can spray the hose in the coop and the dirt on the floor easily slides out to the ground below. You will have a clean coop and no puddles of water in the coop. ERROR #2: Not Giving Your Chickens Proper Ventilation. Building a chicken coop is to protect your flock. The purpose of your coop is to protect your chickens from the element and outside predators, but you also need to give them proper ventilation. Free movement of air inside the coop is very important, but you do not want to freeze your chickens with a draft. Chickens, are like humans, they can only perform at their optimum levels if all of their basic needs are met first, in this case protection and oxygen. A Chicken coop without free air movement and therefore more oxygen will have high carbon monoxide levels and humidity levels. This is not good because uncomfortable chickens do not produce as many eggs. It is also very dangerous because it makes mold growth within the walls very easy. ERROR #3: Not Insulating the Walls. To build a chicken coop properly insulating the walls is very important. The walls of the chicken coop need to have good insulation installed. This will help keep the chickens warm in the winter and cool in the summer. The insulation will also help to keep the coop at optimum humidity levels. When the chickens are kept at the optimum humidity levels they produce more eggs. Insulating the walls will also help to keep the chickens dry. 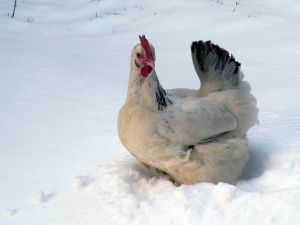 In colder climates when your chickens are dry they can withstand the cold well. Insulating the walls will not only keep your chickens producing eggs but it will prevent your chickens from getting sick. ERROR #4. Not Putting the Water and the Feeders in the correct place. If you build a chicken coop, obviously the water and the chicken feeders need to be in a place where your chickens can easily access them. It is important to be very careful in selecting a place to put the water and the feeders. Chickens can make a big mess of things because of their natural instinct to scratch and dig. It is very frustrating to see water and the chicken feed you just put out all over the floor. To prevent this place the feeder and the water at the height of a chicken back. Ideally the chickens will have to stretch their necks up to the food a little bit to eat and drink but they will not be able to place their feet in their food or water. Be sure to replace the water and the chicken feed daily. ERROR #5 – Not Having a Good Light Source. 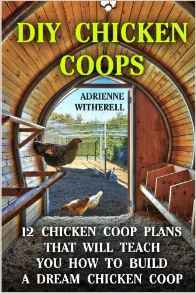 Build your chicken coop facing the south so that the coop will receive sunlight throughout the day. For the winter months when the days are shorter and there is less sunlight, it is important to install a light in the coop. This is not difficult. They have lights that you can just stick to the walls at any local hardware store, you do not have to be an electrician, it is as easy as putting a sticker on a paper.Installing this light will be well worth the few dollars you spend to do it. It will keep your chickens warm and happy and keep your egg production up in the winter, when most chicken farmers experience a fall off of production because the chickens get less light and warmth. Error #6: Not Protecting Your Chickens from the Elements. Your coop is a haven for your chickens, much like your house is for you. 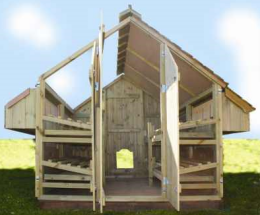 A well constructed chicken coop will protect your chickens from hazardous elements such as bad weather. Make sure the doors and the windows are sealed properly so that they do not let a draft in. Build the chicken coop on an elevated area where it can be drained easily and the least amount of dampness of the coop. Build your chicken coop facing the fun sun. This will keep the coop dry after it rains and warm when it is cold out. ERROR #7: Not Protecting Your Chickens from Predators. 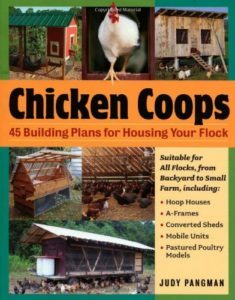 Build a chicken coop not only to protect your flock from the elements and to protect them from predators. Do not build the coop near brush where other animals may live. Bury your outside chicken runs with chicken wire. You can lay the wire on the ground and then cover it. This will keep predators such as raccoons, cats and even dogs from digging underneath the run. 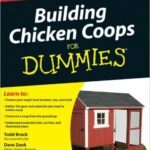 Building a chicken coop is fun and easy, but you have to follow these simple steps to avoid big problems in the future. 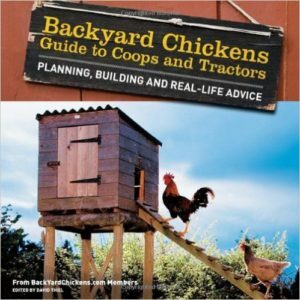 Raising chickens on a farm or in your suburban or urban backyard is a fun experience. Just do not commit these errors. It would be great if you add more picture on your post. Awesome ideas on this site, thanks. I actually took the plunge and got me some chickens last week! Now I have more eggs than I know what to do with!. Hmmm… I don’t think you’d like my coops. Ours are much simpler but our chickens are happy. We don’t do lights and we don’t insulate. We buy breeds that are rated to do well in the cold. The nice thing about not planning all that well and using free or cheap materials is that you can just fix the errors quickly. I think the biggest error in building a coop is not having a plan to clean it out. Design it so that the poo is easy to clean up or not have to clean up at all. Our tractor doesn’t even have a floor. That way, when they roost, their dung goes right on the ground in the garden and I don’t have to clean it up. Tractor coops are nice if you have the room for them. Unfortunately I don’t so I’m stuck with the standard coop. Vegetable Garden Cook you’ve got a really nice web site. I built a scrap-coop with no insulation and no artificial lighting…but it is draft proof and can be locked down to keep predators out. Even on the coldest nights I’ve never seen any sign of frostbite on any of the girls combs. I specifically choose barred rocks for the cold climate up here in Maine. I’d like to add “Selecting the right breed for your climate.” to the list. Seems strange that my grandparents back in the 1950’s raised chickens and had fresh eggs and never had to do all of this!